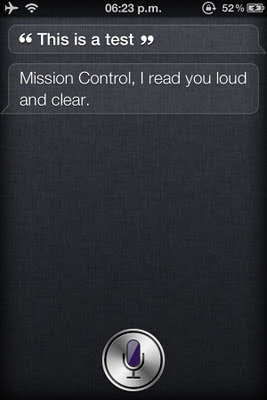 Have Siri connecting to Apple's servers on iPhone 4 after hack session with @chpwn! Below are the two videos that shows siri working on iPhone 4 and iPod Touch 4G and successfully responding to voice commands. Both Grant Paul and Steven Smith said that the public release is not possible at this time and people should stop asking them about the release. They also said that they are unable to provide any details about how they did all this. A public release is not possible at this time for a LOT of reasons. So please don't ask. EDIT: Also, unfortunately, we can't explain how it's done — it's also not possible just using publicly available tools, so that wouldn't be useful anyway. 0 Respones to "Siri Now Working on iPod Touch 4G and iPhone 4 [Video]"